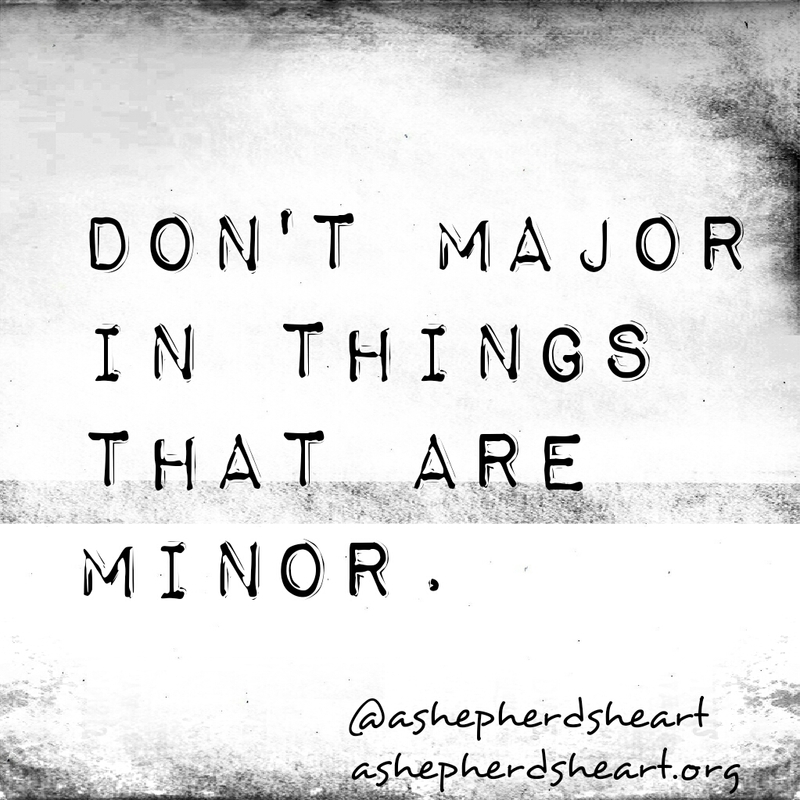 So often we get caught up in or fixated on little issues. We stress out, lose sleep over and occupy our thoughts with things that are sometimes, while they seem important at the time, they're truly not worth the efforts we seem to place on them because they are minor issues. 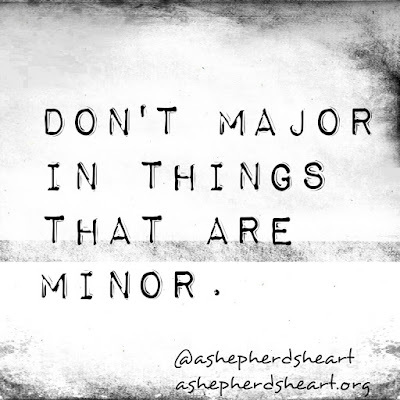 Let's start majoring in the majors but at the same time...leave the minors and majors in God's strong hands because we need His help in all things.